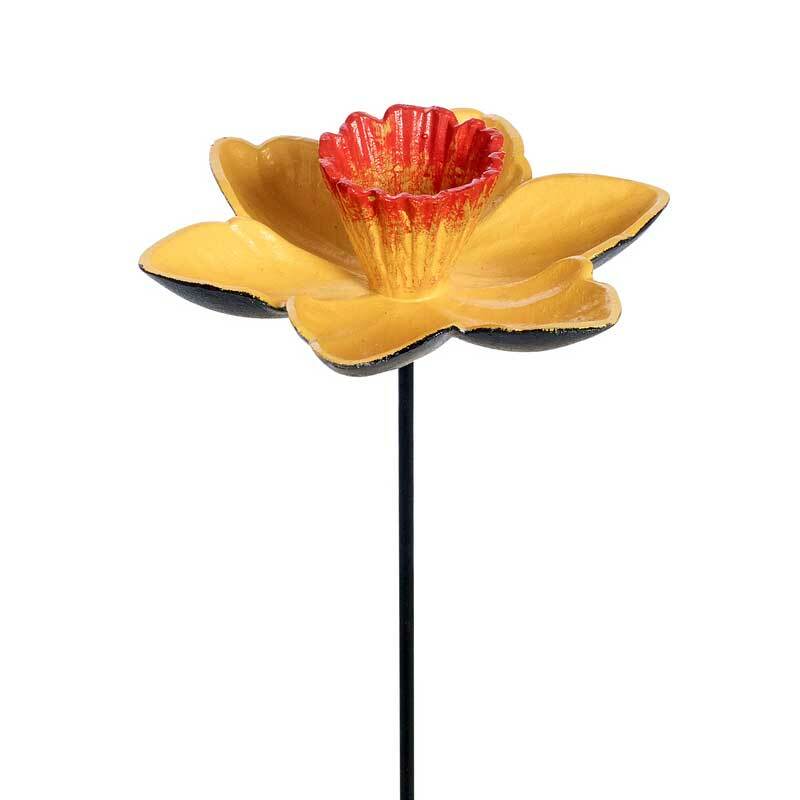 Bring your garden to life with the Gardman Cast Iron Daffodil Feeder Dish, a decorative painted cast iron feeder dish suitable for all seed mixes. 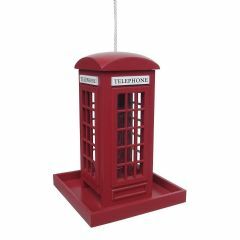 This decorative feeder dish is made of cast iron and is painted yellow with red speckled pistils. 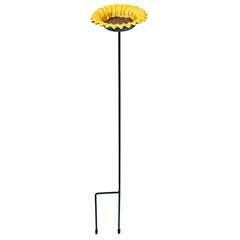 The feeder features a double ground-spike to keep it anchored into flower borders or lawns. it can also be used as a water dish. 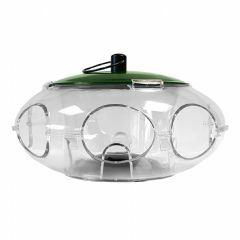 £0.50 from the sale of each feeder goes to Marie Curie, who provide care and support for people living with any terminal illness, and their families. Last year they cared for over 40,000 people across the UK.  Good quality item, but if you expect something the size of a side plate, be prepared to be disappointed, more like the size of a small saucer. Excellent quality. Strong metal and well made. 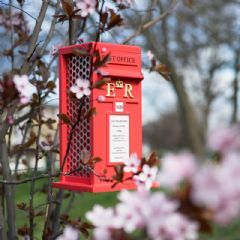 Perfect addition for anyone’s garden. Plus it has significant meaning every time I look at it. 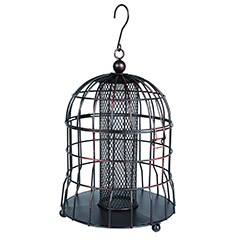 This is a sturdy iron water bowl or feeder which sits well in my border. Its bright colour is attractive with or without birds visiting. 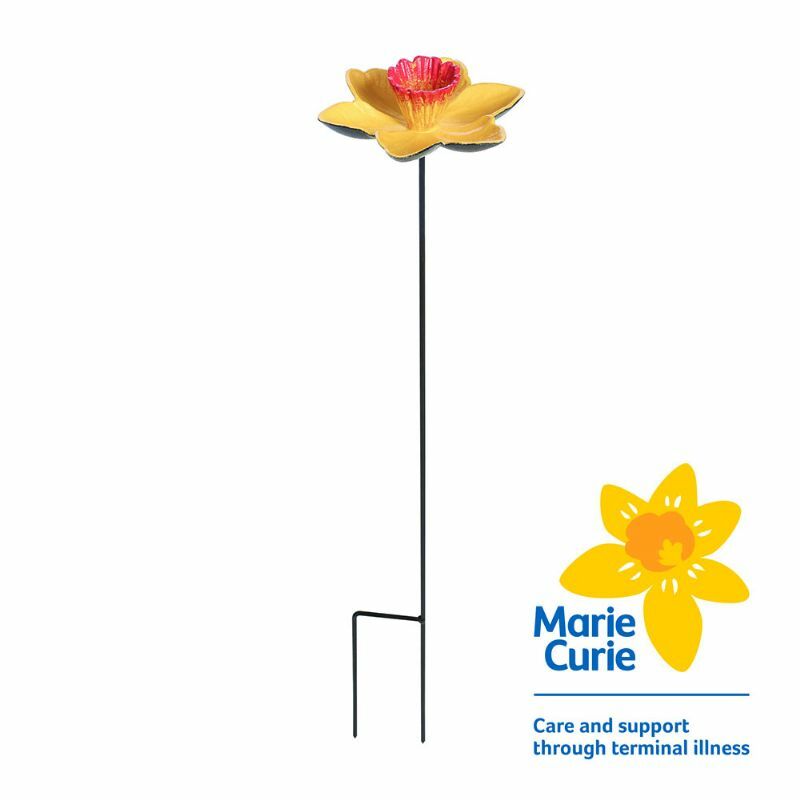 Paired with the Royal Legion red poppy, this Marie Curie daffodil is not just a bright garden ornament, but also a timely reminder of caring through stressful days. 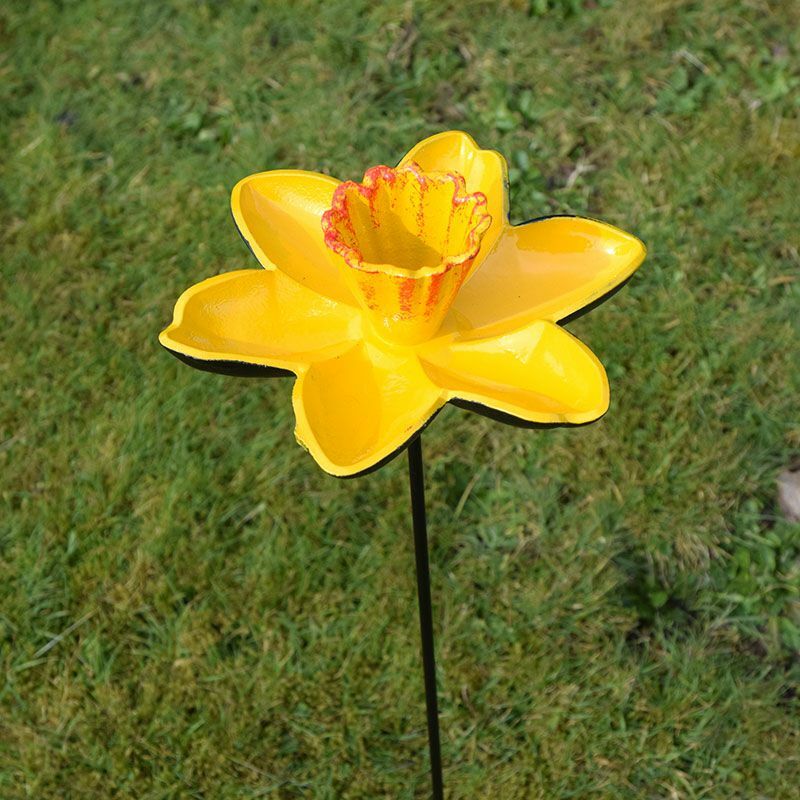 A delightful addition for your garden or a gift to give. Bonus in its charitable donation taken from the cost of buying. These are lovely. 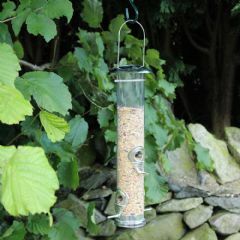 Delightful way to provide food/water for birds. Sturdy even a fat collared dive can balance on one. 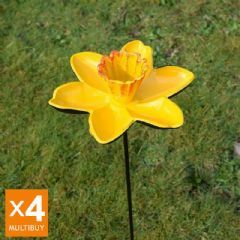 A very bright and very sturdy addition to my garden. Really lovely item. 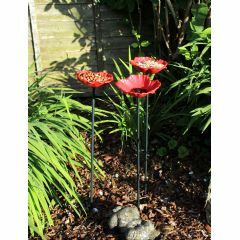 Robustly constructed garden ornament/ bird feeder, they will give years of pleasure to there owner and the garden wild life. This was much better then I thought it would be for the price.Its absolutely beautiful and looks stunning in my garden the only problem being one is never enough.Love it. Very happy with this, gave 3 out as presents and they were well received.